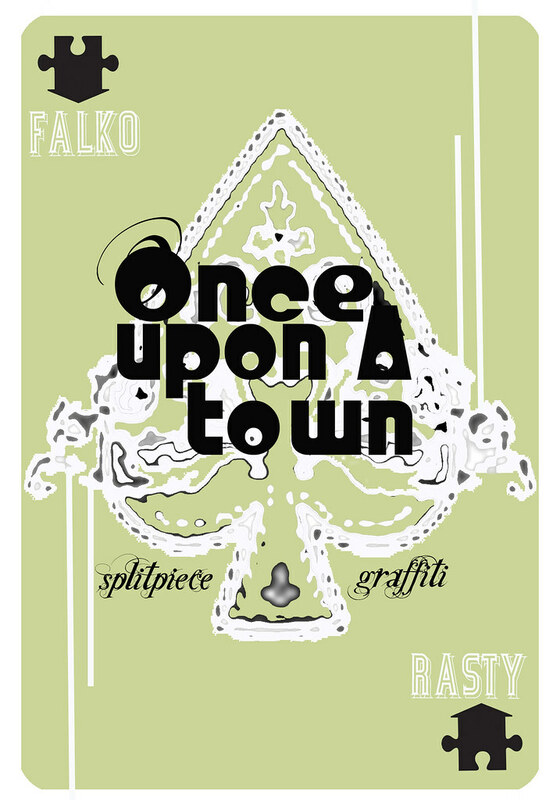 South african graffiti artist Falko has recruited one of South Africa`s more remarkable graffiti painters, Rasty, for his upcoming project. They will collaborate and become one of the most creative artistic teams to work together on the Splitpiece project ‘Once Upon a Town’. Sponsored by Adidas and supported by Redbull “Once Upon a Town” commences on the 24th April until the 10th May which will see these two artists paint 40 murals, 20 in Mamre and 20 in Pella. This project continues Falko’s visionary mission to create an art concept that will become the flagship of mural / street art for South Africa. Through the success of his previous Splitpeice project “Darling Made me Do it” Falko has seen the value it has brought to the people of that community. The purpose of doing a much bigger version of that now is to create tourist interest in small towns. The Splitpiece murals create a rare opportunity to tell the story of different people, cultures and landscape. Each segment will tell a different story. The completed project will comprise a living gallery, part of a continuing story in that community. One of the objectives of the project is to promote self-employment and inspiration through the simple medium of a spray can. Community workshops will be held with this initiative. Community members will also have an opportunity to be actively involved in the project. Little communities like these are not visited for many reasons. They are put on the tourism back burner. Infrastructure, access from main routes or locals from the towns do not have the resources to effectively promote their areas. We, through graffiti art, are attempting to create a tourist attraction. Using graffiti art is making tourism relevant to everyone. The art will be the magnet for attracting outsiders with the effort of exposing the historical value.